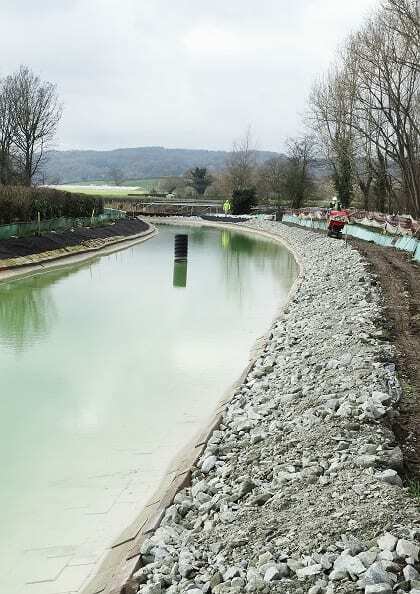 THE work of Shropshire Union Canal Society Volunteers on the Montgomery Canal near Crickheath will move on to Phase 2 in May – 300m – which will link up with the Canal & River Trust Winding Hole Project at Crickheath, in 2020. 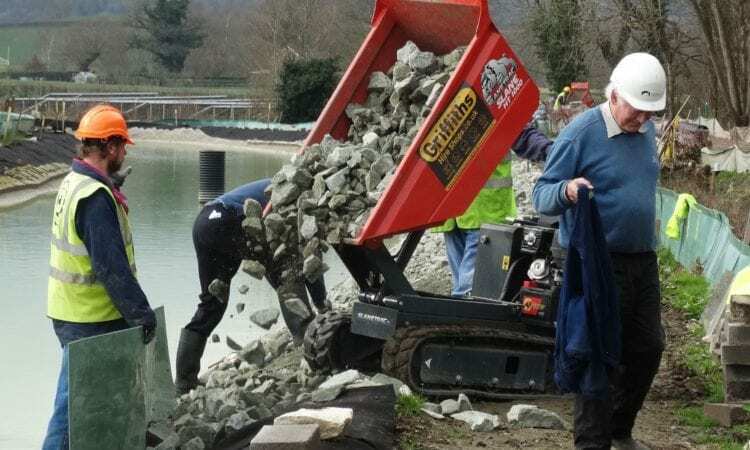 Newt fences will be installed along this next section to be restored, which is a distance of 300 metres and will enable work to begin, once ecologists have declared the new site to be clear of Great Crested Newts, which are an endangered species. 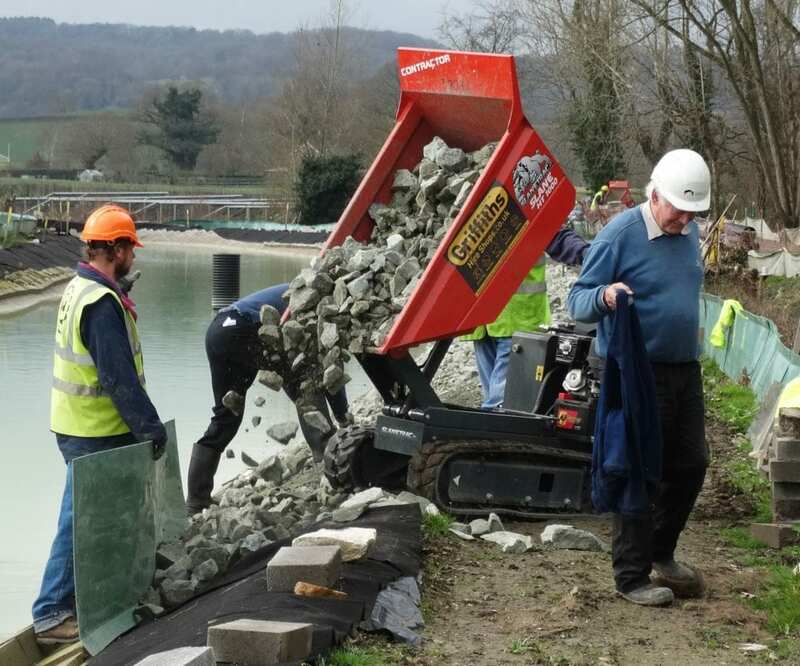 The primary March Work Party tasks consisted of, surfacing a section of tow path, and, adding a layer of stone above the water line on the Phase 1 section. 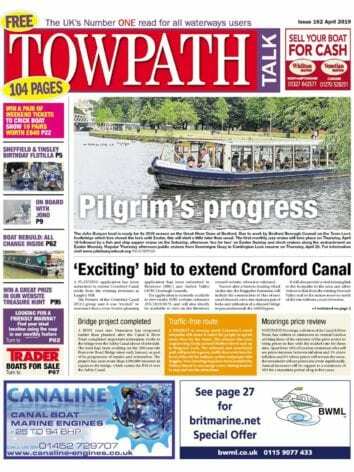 A small team completed a survey and marked out towpath levels in Phase 2 as part of the preparation for the commencement of work . The previous section, Phase 1, has been filled with water and tested for leaks. This water will be piped to Crickheath to provide the volume needed to test the CRT Winding Hole project, when this is finished, at the end of March. Next Post:Maid steams into Loch Lomond shores!